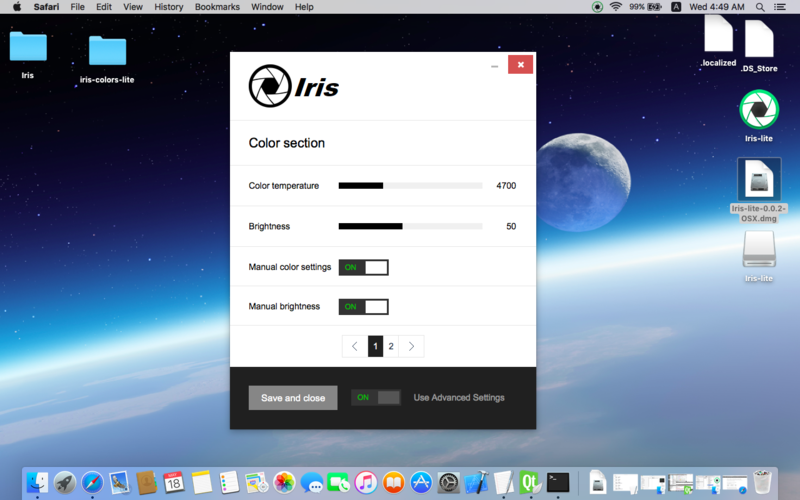 I made free Iris free version for OSX. You can now enjoy blue light and brightness reduction on your Mac. It uses the Iris colors lite open source core not the main Iris code. I had some problems with OSX and there is flicker of colors when you change them, because child process is called. Unfortunately I cannot fix that at least for now this is hard and maybe impossible. If this is really bad for you use Iris instead. It works better.